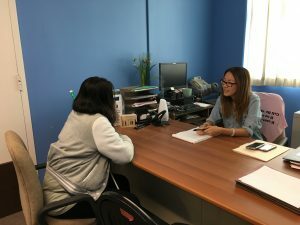 Pictured above is a Vocational Rehabilitation Counselor talking with a consumer about her work options. Pictured above is a Older Blind Support Group presentation. 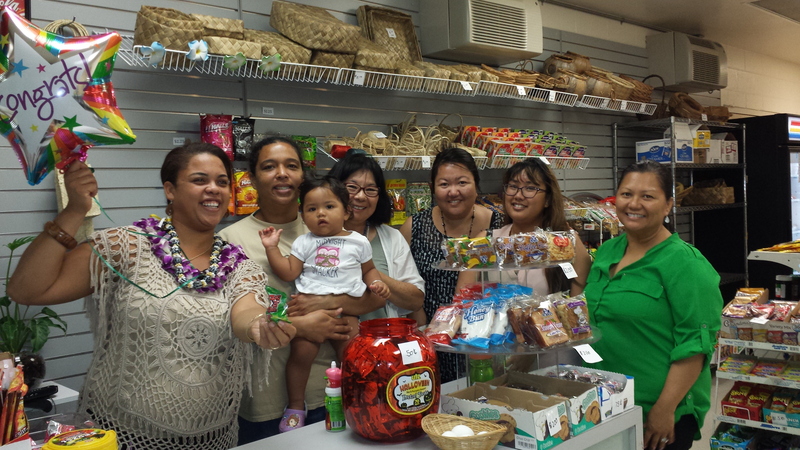 Pictured above are Ho`opono staff with a blind vendor at her store opening. 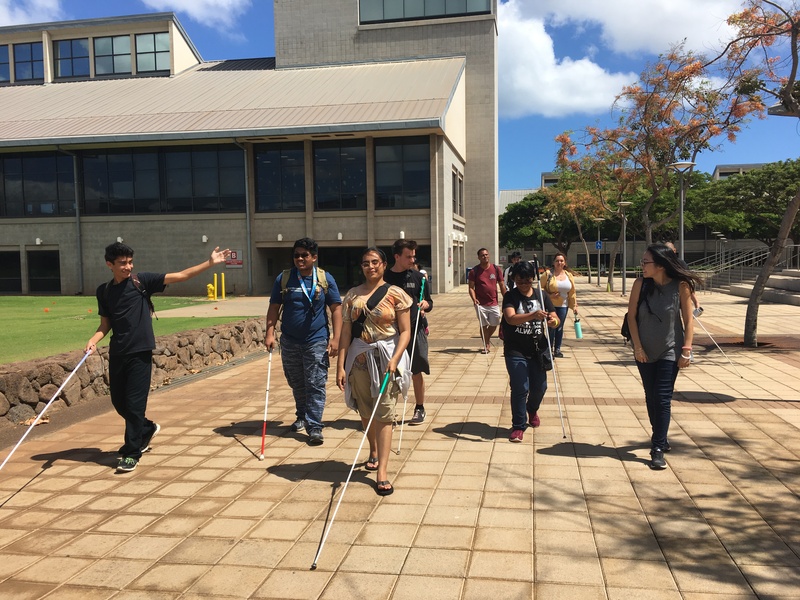 • Help with applying for Library for the Blind services, Home Care Referral, Tax Filing Assistance, New Visions program referral, transportation assistance (via Handivan). 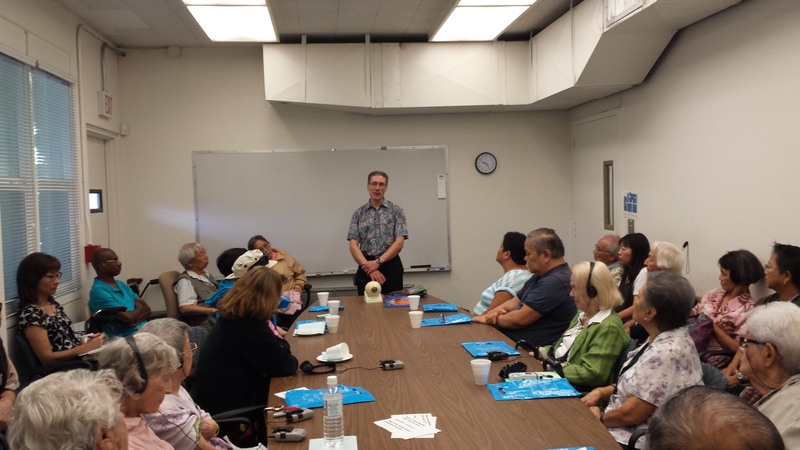 • Free presentations on blindness education and prevention of blindness. 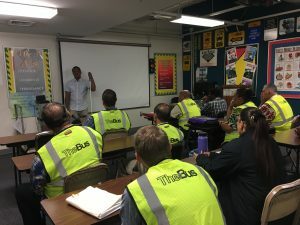 Pictured above is a Ho`opono staff member presenting about blindness at a New Bus Driver Orientation. 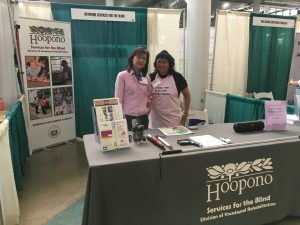 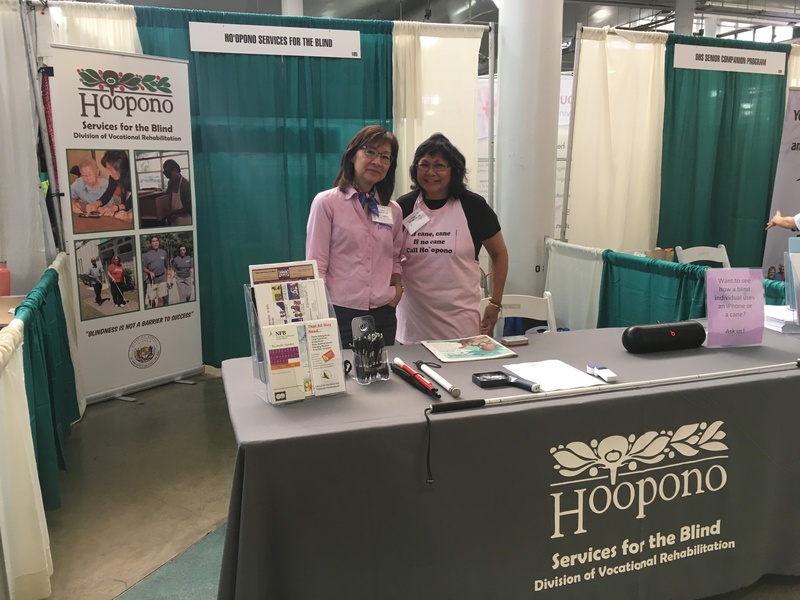 Pictured above are two Ho`opono staff members at the Senior Fair. 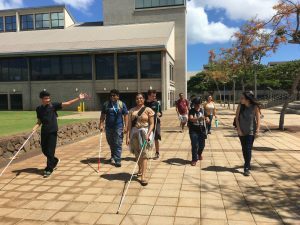 Pictured above are transition students getting a tour of UH West Oahu. 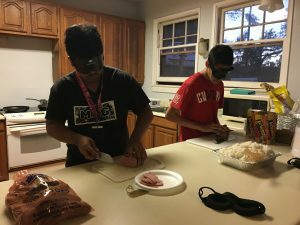 Pictured above are two blind youth learning to cut and cook as part of learning independent living skills.